Tattoos are more just than a body art. For a few people, it is a way to express them. Or it helps us to say certain things which we cannot say out loud. In simpler terms, it is a part of their overall personalities, allowing them to exhibit themselves. Moreover, some of them get inked to carry a particular memory with them for life. Thus, no matter what the motivation is, a plethora of people get inked which has further changed their look. Not only this, but it has also increased the people’s overall self-esteem and confidence. And, after seeing this, it can be concluded that such practices are no fad or vogue. It is here for long to stay. Moreover, not only the the celebrities but the normal people are also donning this look. But do you know what should be done after getting a tattoo? You should opt for some kind of post-treatment care such as aftercare tattoo. Yes, you heard that right. After getting inked, the area may get more sensitive as compared to the other non-inked areas. Thus, you are advised to follow certain things, such as protecting it from the sun or putting a tape for a day or two. Whatever it is, it will be duly advised by the professional tattoo artist. Now, to certain people, getting a tattoo may be just due to the fact that is in trend, or the need leads because everyone is donning the same. But, this is to bring this in your notice that no matter what you should consider twice before getting inked. One of the considerations includes the artist you are contacting or hiring to get a tattoo. 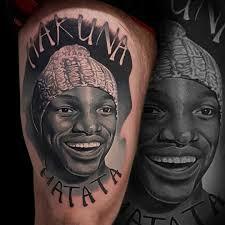 Well, the artist should have experience and skills that allow him to make a tattoo in the shortest time period. Not only this, another consideration is about thinking and researching the tattoo design you are going to get. And in case, you are still perplexed then look no more and trust Inksane Tattoo & Piercing. 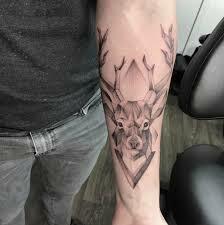 It is a reputed tattoo art gallery that offers their customers with the facility to get a customized tattoo as well as option of tattoo art designs. Not only this, the tattoo artist so hired carries an extensive experience who knows how to cater the needs and wants of their customers and put the same into a well-designed package. Inksane Tattoo &Piercing is one of the biggest names that are known to provide their customers with best and latest sleeve tattoo ideas which can further help them in their decision-making process. It is quite obvious that people prefer high tech career options rather than choosing the field like tattooing. There are people or youngsters having hidden skills and artist inside them that they couldn’t recognize. And, those who are aware of their artistic skills couldn’t get proper direction to extend their career and shine out in the tattooing or art field. Are you one of these individuals? If you think you have a potential to become a professional tattoo artist then you must look for an appropriate tattoo training (tattoo opleidingen) to give a direction to your talent. When you have precise guidance, you can enhance your skills by learning the latest techniques and trends. Though tattooing is a traditional art form, it is trending in this era as well. In fact, the craze for tattooing is increasing day by day. Due to this increasing demand and craze of this art form, many artists have started their own tattoo studios. Hence, it got difficult to choose the finest art studio for your tattooing requirements. Especially if you are going to get a tattoo for the first time, you may get confused while choosing a tattoo artist or studio. If you need a trending tattoo then you must search for a studio or an artist offering portrait sleeve tattoo designs. Besides this, there are several other aspects you need to take into account before going to any tattoo studio. Why Do You Need To Opt for a Right Tattoo Artist? For ages, the not-so-tattoo addicts have inquired the tattoo lovers about why they get a tattoo in the very first place. People from all walks of lives are seen carrying such inked art on their bodies. Not only it makes people look more attractive, but it has fascinated a lot of onlookers. And, their fascination is marked by their wonderment about what does your tattoo mean, where did you get it from and also by showing a lot of interest in getting that same design. Some blackwork tattoo artist can help you get the desired look real quick, if you know whom to contact.